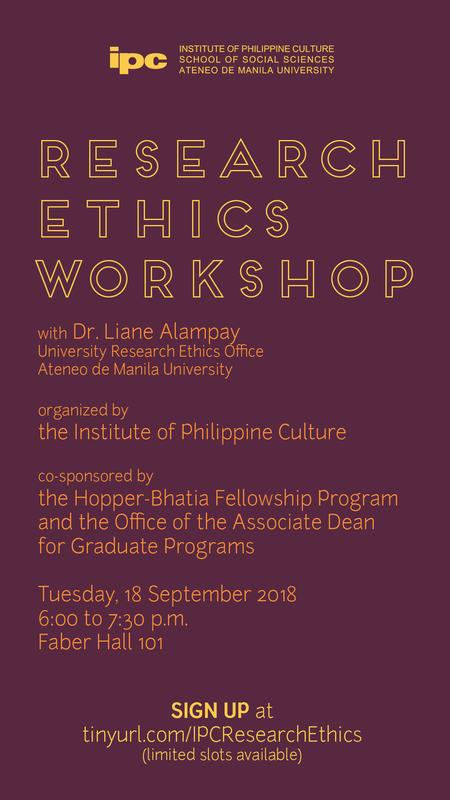 Those interested to attend the Research Ethics workshop may sign up at https://tinyurl.com/IPCResearchEthics. For inquiries, please contact the Institute of Philippine Culture (IPC) at (+63 2) 426-6001 ext. 4651 loc. 213, or (+63 2) 426 6067 loc. 213. You may also send an email to <ipc.soss@ateneo.edu>.